Have you been charged with DUI in Glendale Arizona? Have you had a consultation with an experienced Glendale Arizona drunk driving attorney? Arizona is home to some of most severe penalties for DUI, which often include jail or prison, hefty fines, and loss of your driving privileges for a period of time. In addition, a DUI conviction may also make it difficult to gain or maintain employment, or may lead to disciplinary action at school. Since the consequences are so grave for a DUI conviction in Arizona it’s important you have an aggressive Glendale Arizona DUI lawyer on your side. Our dedicated DUI attorneys in Glendale are on call 24 hours a day, seven days a week to provided helpful advice concerning your criminal matter. Unlike larger firms where you almost exclusively with paralegals, at AZ Criminal Defense Group you will have the opportunity to work closely with a skilled Glendale drunk driving attorney. At AZ Criminal Defense Group, PLLC, we understand given the current economic times that you may not have access to a large sum of money for a criminal defense attorney. That’s why our firms offers affordable flat fees and flexible payment plans for most types of criminal matters. Visit us at our convenient Glendale location at the southwest corner of the 101 & 51st Avenue.Phone consultations available as well as evening and weekend appointments upon request. 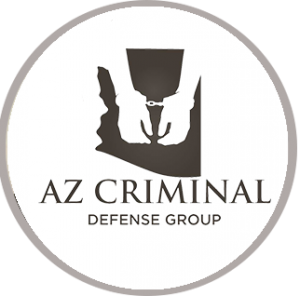 The attorneys of AZ Criminal Defense Group have been providing aggressive representation to residents of Arizona since 2009. At AZ Criminal Defense Group, PLLC you will have the assurance of knowing your matter is being handled by an experienced and dedicated Glendale Arizona DUI attorney.